RONKONKOMA, N.Y.--(BUSINESS WIRE)--Qosina is pleased to introduce five new bonded, off-the-shelf extension lines (part #s 33066-33070). Each of these extension lines are unique in that they are designed with a combination of components. Four of the sub-assemblies include both female and male luer locks, and one contains a stopcock. All five are assembled with female and male caps and various tubing lengths. Other components include a slide clamp, pinch clamp or hydrophilic filter. Qosina will be showcasing its new extension lines, in addition to thousands of stock components, at booth 8AL16 during the Compamed trade show at Messe Düsseldorf in Düsseldorf, Germany, November 12-15. 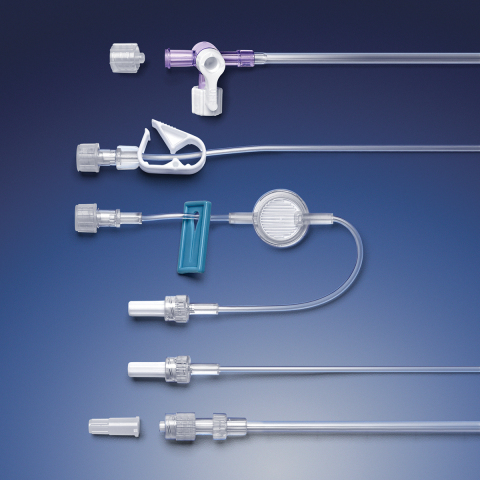 Founded in 1980, Qosina is a leading global supplier of OEM single-use components to the medical and pharmaceutical industries. Qosina’s philosophy is to address its customers’ need to reduce time-to-market by providing thousands of stock components. The company’s vast catalog features more than 5,000 products shown in full-scale illustrations on a one-centimeter grid. Qosina offers free samples of most items, low minimum order requirements, just-in-time delivery, modification of existing molds, and new product design and development. Qosina is ISO 9001, ISO 13485 and ISO 14001 registered, and operates in a 95,000 square-foot facility with an ISO Class 8 Clean Room. To learn about Qosina’s full component offering, which includes the newest products, visit www.qosina.com or call +1 (631) 242-3000.